In my opinion, food IS medicine. Much like a bad batch of gasoline in an engine, what you put into your body reflects how it functions. When it comes to browsing the grocery store isles, I've always said that if you know you shouldn't have it, and you know you can't resist it, then leave it on the shelf. The easiest way to maintain a healthy diet and lifestyle is to stick to a plan. Part of that plan involves some essentials in your fridge and cabinets. So, I've listed out my favourite health foods that you should include in every grocery list if you're looking to make a dietary lifestyle change thats both healthy and maintainable! The first thing to do when you hit the grocery store or market is browse the produce isle. The more colours, the better. Fill your cart with the rainbow, aiming for 1 of every colour to ensure a great selection of fruits and veggies. While organic product is favoured, its not always necessary. 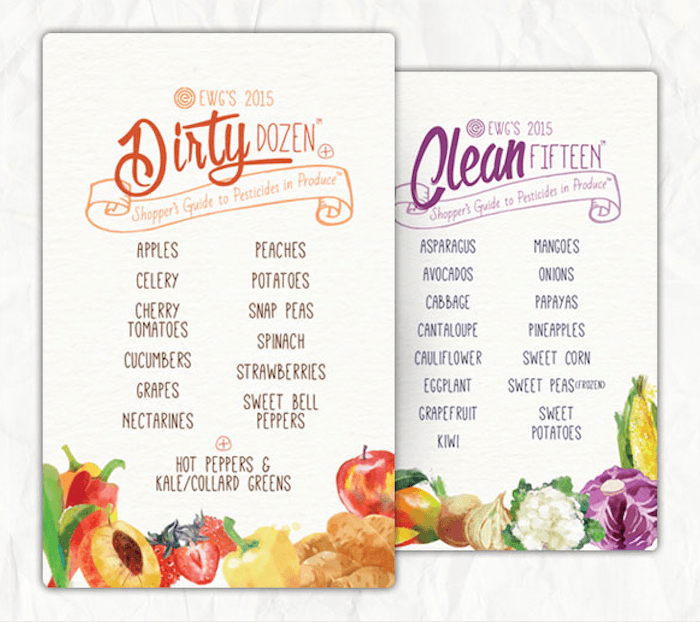 Refer to the most up to date "clean fifteen & dirty dozen" from EWG when making organic selections. A great alternative to dairy, this creamy ingredient takes great in smoothies, cereals, and substitutes well for milk in baking! These green fleshy fruits are not your typical fruit, being lower in carbohydrates than other fruits, but RICH in healthy fats (~15 g of omega 9s). COMMON MYTH: fats make you fat. This couldn't be further from the truth. Roughly ⅓rd of the diet should consist of healthy fats for proper metabolism and weight maintenance/loss. These round fellows are also rich in fibre, and contain more potassium than a banana! Weighing in with ~ 6 g of protein per egg, your morning dose of two eggs gives you a complete amino acid rich breakfast you fuel the rest of your day. Not to mention, they're rich in zinc, and b-vitamins, especially folate. ANOTHER COMMON MYTH: eggs raise cholesterol levels. Recent studies show eggs, which ARE in fact rich in cholesterol, have no long term effect on cholesterol levels or coronary heart disease. However, they may play a role in diabetes, but the jury is still out on that one. Some people are quite sensitive to eggs, so watch for gassiness and cramping after consumption. Whether it be kale, spinach, chard, collards, or broccoli, your greens are rich in calcium, potassium and other minerals. Keep in mind, these minerals are often been absorbed when the greens are heated. The darker, the better. Because these leafy vegetables contain a high amount of fibre, vitamins, and minerals, evidence suggests they protect against heart disease, diabetes, and maybe even cancer. Toss dark greens in a salad, steamed alongside dinner, or blended in your smoothie: check out my favourite kale smoothie recipe! These tiny seeds are a common favourite of mine. Though small, 2 ground tbsp contains about 6 grams of fibre (the richest source of lignans in todays diet), and a decent amount of ALA, an omega-3 fatty acid. Flaxseeds help ease bowel movements (with lots of water), lower cholesterol, and reduce symptoms of hot flashes. They've even been shown to help prevent diabetes due to their ability to regulate blood sugar (a benefit of fibre). Add them to smoothies, salads, or baked goods! 2 tbsps a day is plenty, best taken away from medications. NOTE: buying them whole and storing them in the freezer keeps them longer, and make sure to consume them GROUND! Healthy fat, protein, delicious... need I say more? Almond and/or peanut butter are a great additive to smoothies, as a dip, or as a spread for a kick of protein and healthy fats. Make sure to purchase UNSWEETENED, because these spreads are too delicious to be ruined by refined sugar. Also, avoid the "REDUCED FAT" kinds - we want the fat, and not the unhealthy additives that replace it. This multi purpose oil should be a staple in every household cupboard. It serves as a great option for cooking and can substitute butter and/or oil in baking. You can also blend it in coffee for a frothy beverage without the dairy! Coconut oil is made up of medium-chain fatty acids (MCFA), which are metabolized different than your typical fat. They are readily absorbed and travel straight to the liver as immediate fuel sources! Also, MCFA makes a great skin moisturizer, since they absorb immediately into the skin, and have an SPF of ~8-10! Although its bottom of the list, its a top in my books! This naturally fermented tea beverage contains a dietary source of probiotics. Skip the capsules and keep your gut flora rich with a regular serving of naturally fermented foods. Other probiotic food sources include sauerkraut and kimchi. My favourite place in Toronto to get local (and delicious) kombocha is the West End Food Coop on Queen St West.